The events of Lifeless Moon take place in the early 1970s during the first human missions to the Moon. with the game being set before Lifeless Planet, but also being loosely connected to it. 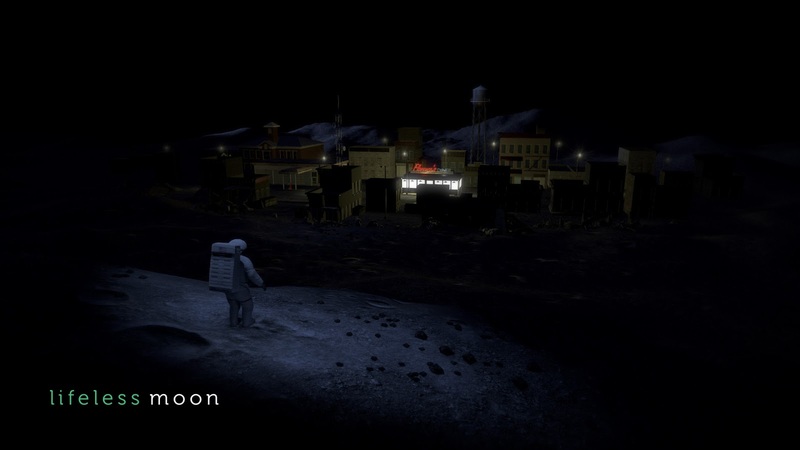 Other than that, all we know currently is that "during an expedition to the Moon, two astronauts find themselves in a familiar town back on Earth. They soon find the town is the beginning of a strange and mysterious journey". The game is set for a release in 2018 with no formats being confirmed as of yet, but a Kickstarter is planned (WHICH I WILL ADD HERE ONCE IT GOES LIVE). This post is more to make people aware of the game than it is to say the game is coming to the Xbox One. Sure that may happen, but only time and a successful Kickstarter will make that possible. If you want to be kept fully up to date then be sure to follow Stage 2 Studios on Twitter here. Check out the trailer on Vimeo by clicking here too.